The sheer volume of third parties to interface with is an overwhelming responsibility for any organization. The need for automation, global scale and a single source of data is more necessary than ever. 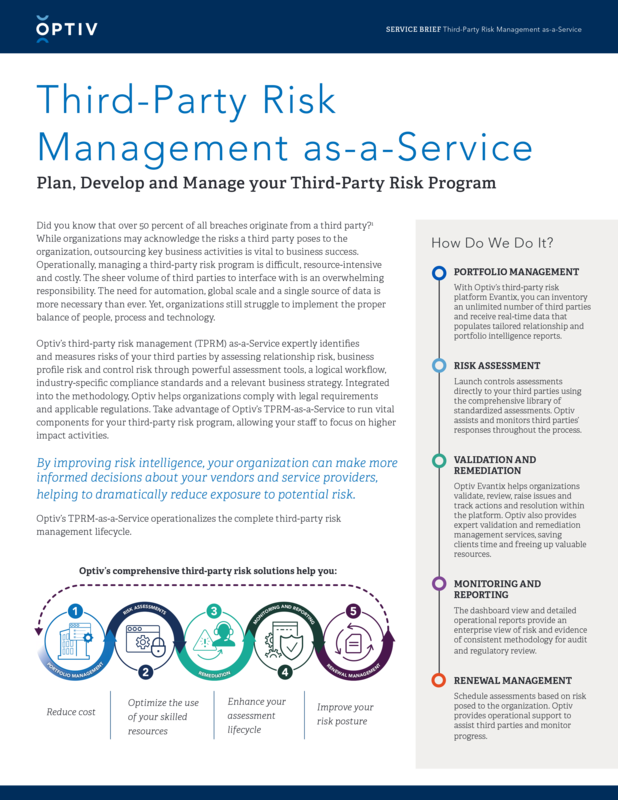 Learn how Optiv’s third-party risk management (TPRM) as-a-Service expertly identiﬁes and measures risk of your third parties through powerful assessment tools. The service includes a logical workﬂow, industry-speciﬁc compliance standards and a relevant business strategy.